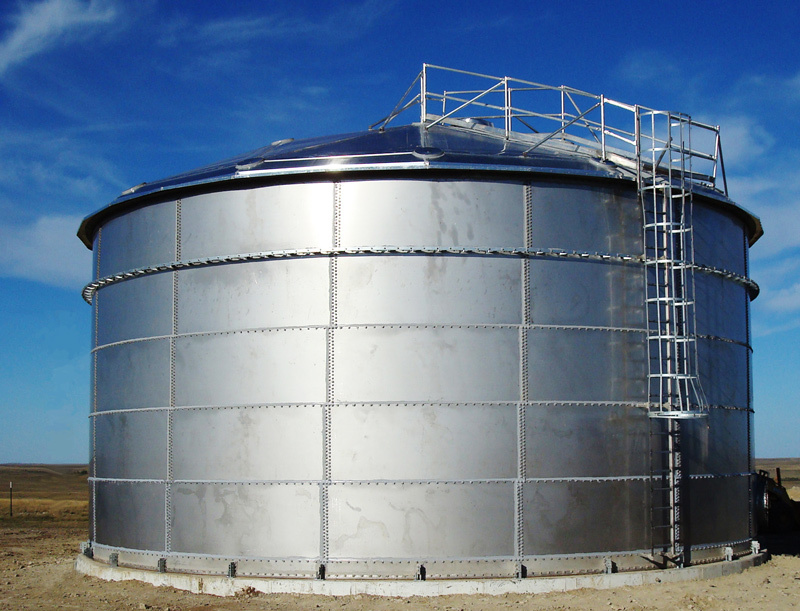 Designs can include: flat-style, knuckle-style, 1:12 pitch, conical, an aluminum geodesic dome or a retrofit on an existing tank. 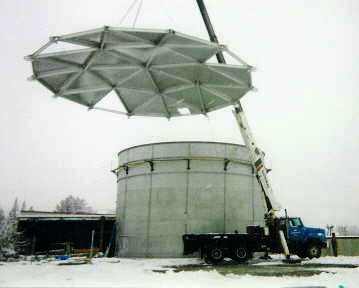 Some roofs are self-supporting, while others (typically in excess of 40’ in diameter) are column supported or a geodesic dome. 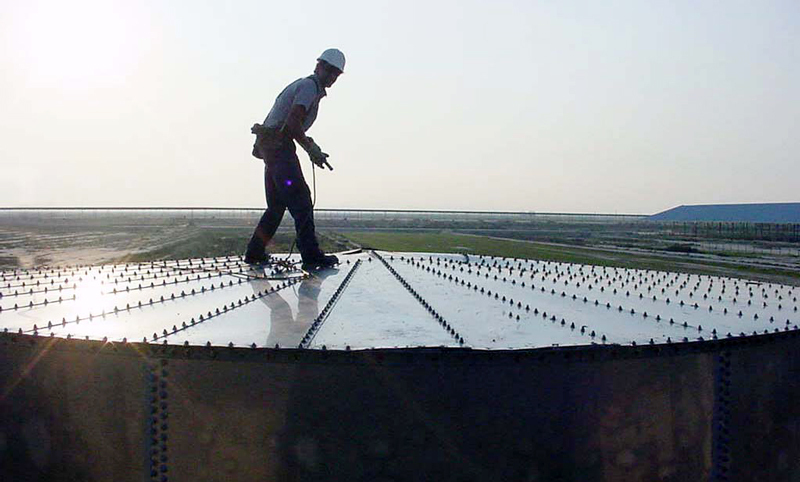 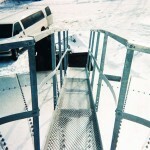 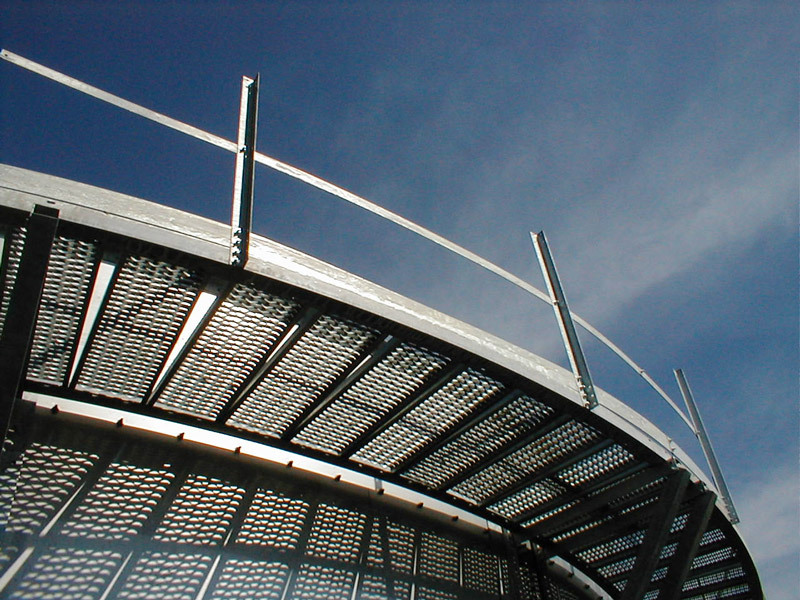 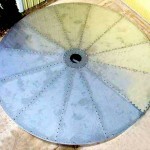 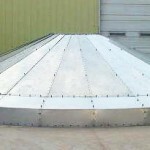 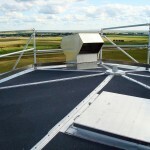 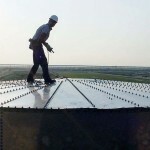 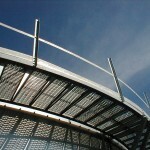 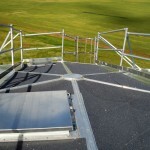 We also make stainless steel replacement roofs for coated steel structures. 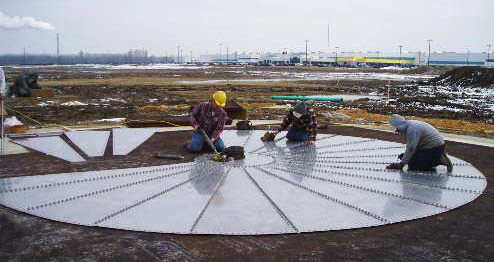 There can be the standard 14’, 17’, 20’, 25’, and 31’ roofs with either 17” or 24” center openings, or can be fabricated for a custom fit. 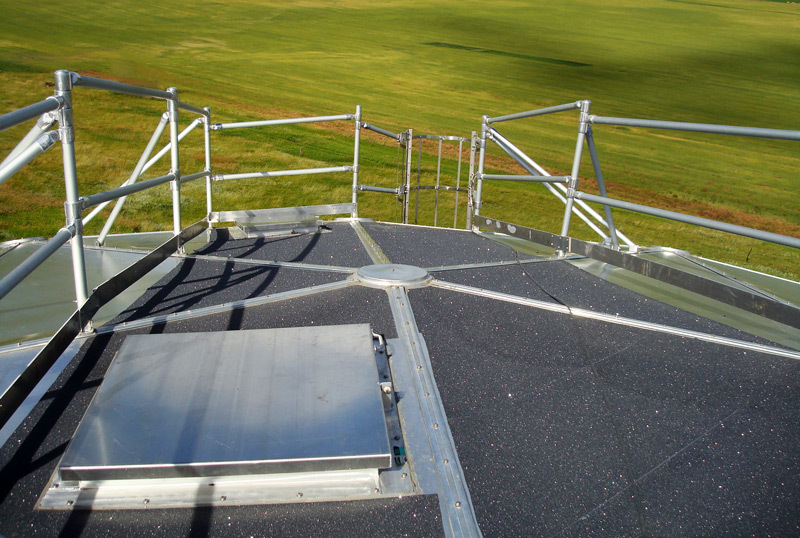 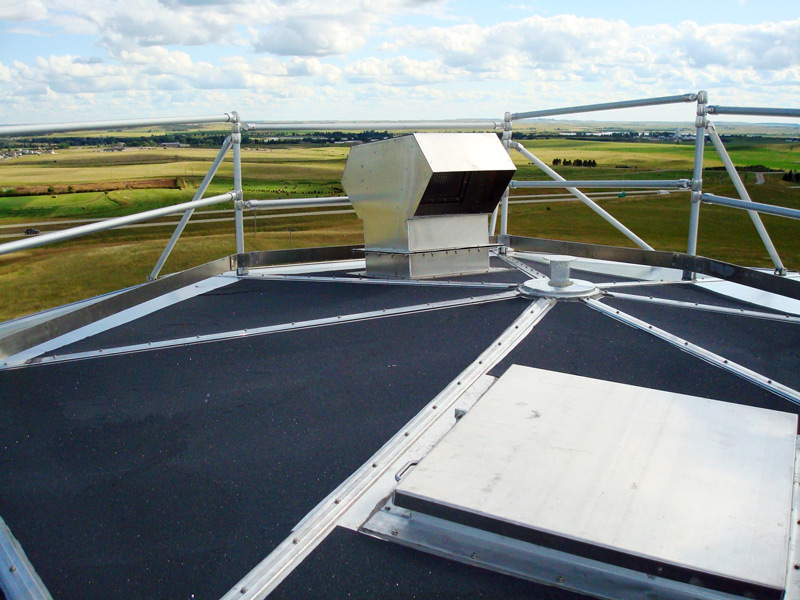 Our roofs are designed to utilize standard hardware such as breather bag rails, hatches, vents, catwalks, and center nest rings. 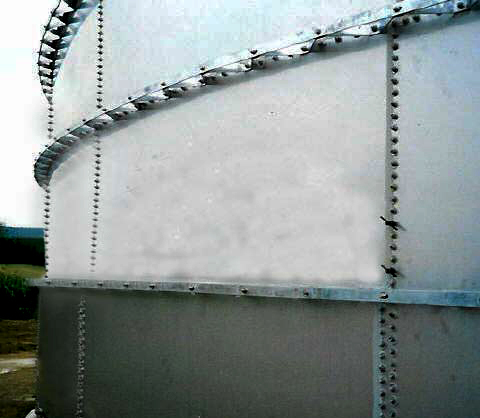 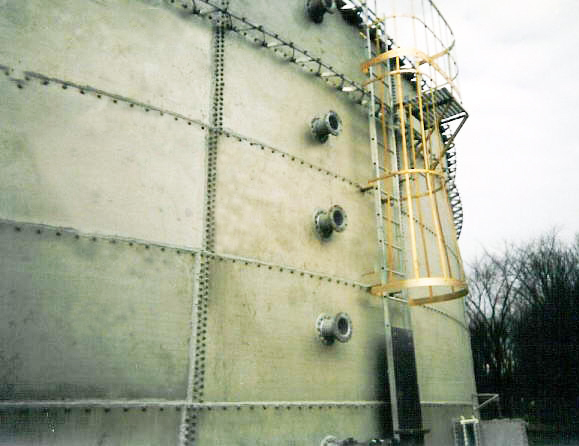 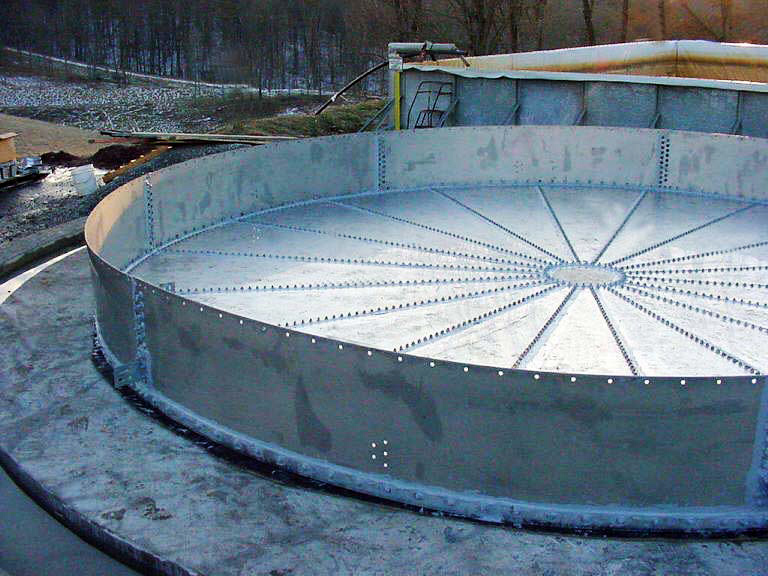 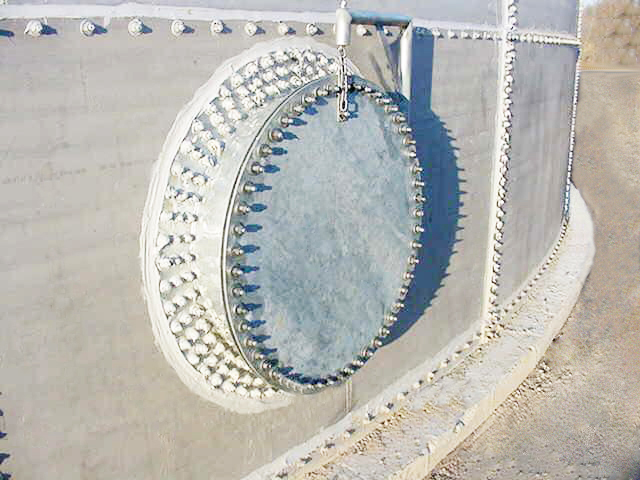 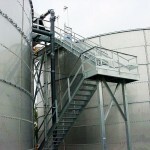 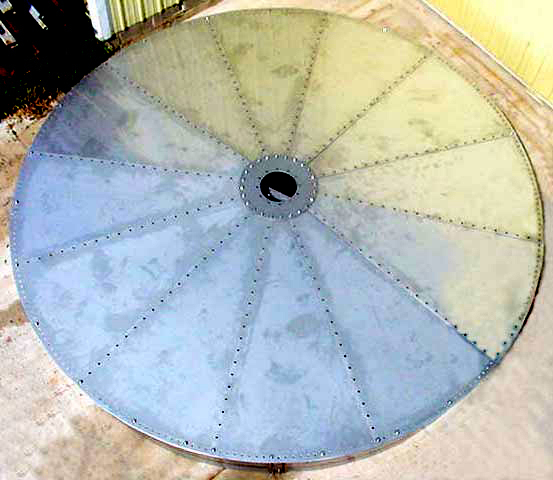 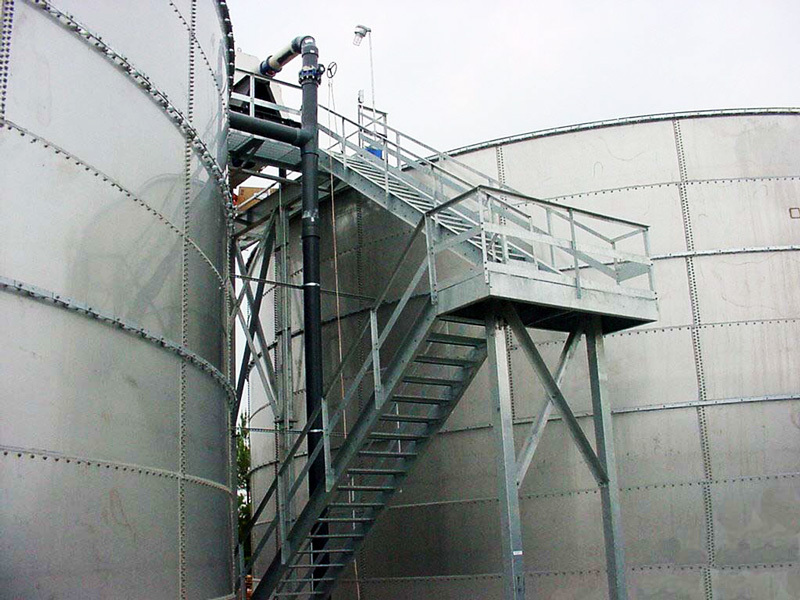 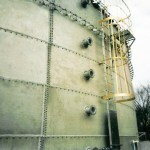 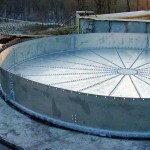 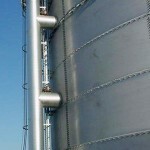 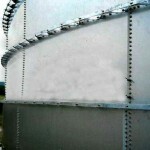 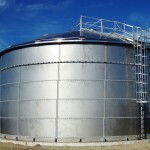 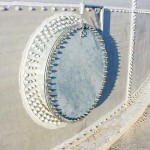 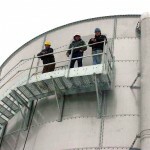 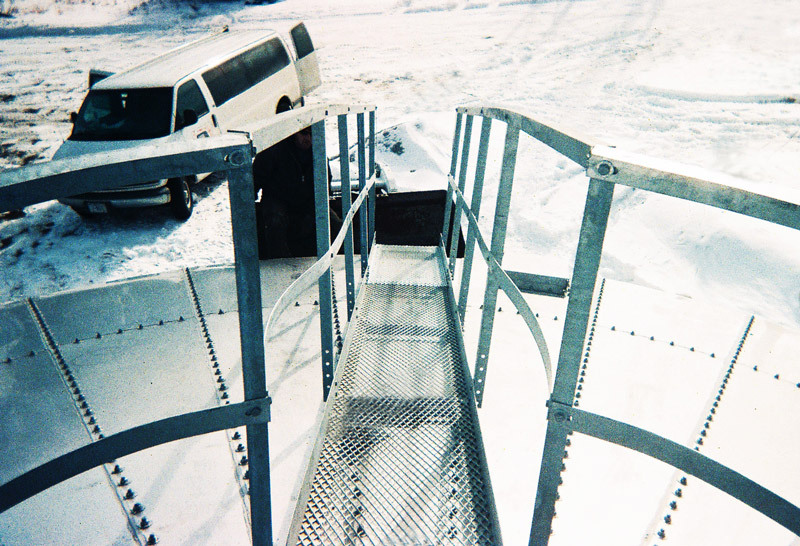 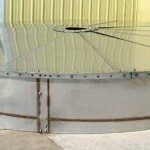 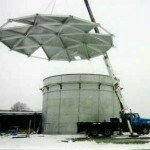 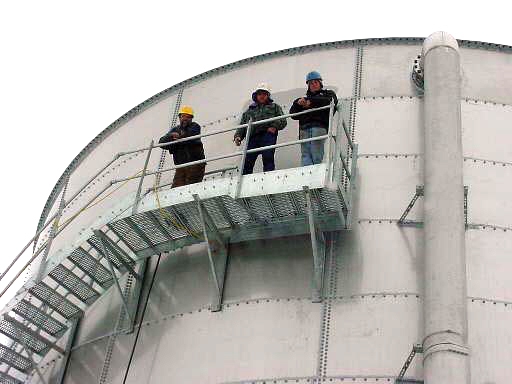 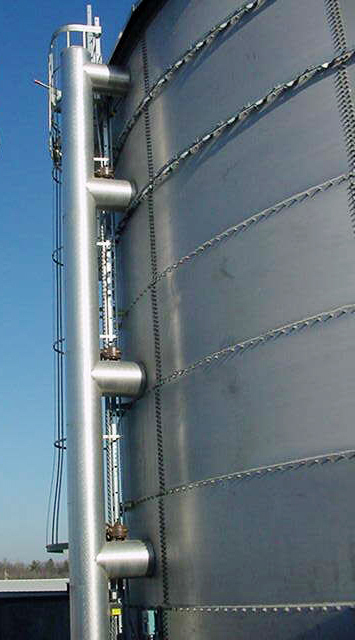 Depending upon a customer’s needs, we are able to provide both concrete and stainless steel floors for our tanks. 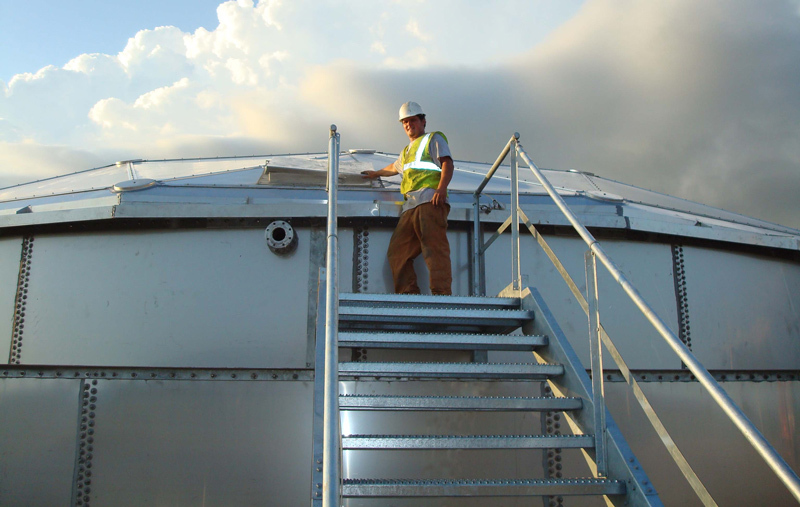 Each floor is designed to the customer’s specifications and industry standards and installed by knowledgeable, experienced crews. 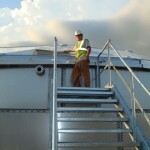 American Structures, Inc helped us recently on a large project in Texas. 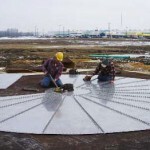 They have a great, very responsive sales, design, and manufacturing team in place, which are easy to work with.